The Dandelion green is classified as a herbaceous perennial that has long slender leaves that are serrated on the side. The leaves of the Dandelion range from 3 to 12 inches in length and form in a rosette pattern. 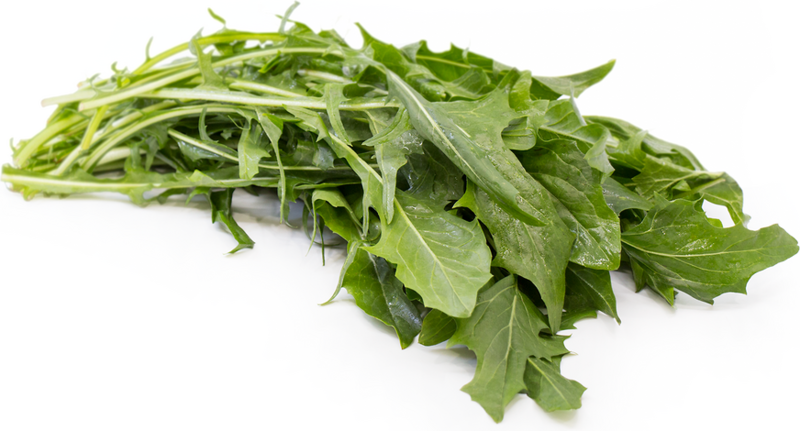 Dandelion greens offer a light astringent flavor with mild grass-like undertones. Organic Dandelion greens are available year-round, with a peak season in the spring.